The right packaging material can be the difference between successfully shipping a fragile item or having it arrive in pieces. Some factors that should be considered when choosing a packaging material include the strength of the item being packed, its weight, the value of the item, and whether the package will be subjected to moisture or other adverse conditions. If you are unsure how much protection your item needs, choose the stronger packaging material, just in case. Plastic is the most frequently used type of packaging material because of its low cost and light weight. It can be manufactured in a variety of sizes and shapes, allowing companies to make convenient packages for the user of a particular item. Single-serving pudding cups or other food items are a good example of how plastic packaging can be used to improve the convenience of a product. 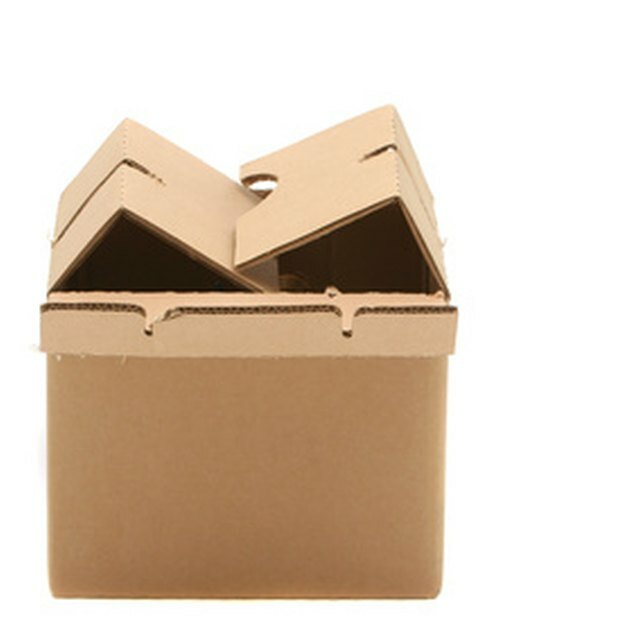 Cardboard boxes have been used for packaging since their introduction in 1817. Cardboard was cheaper to manufacture and easier to handle than the traditional wooden crates that had been previously used. Today's boxes are usually made out of corrugated fiberboard to add strength and stability without increasing the box's thickness or weight. If even more protection is needed, double-walled boxes are also available. Bubble wrap is one of the few packaging materials that can also be a source of entertainment long after the items are unpacked. Many people enjoy popping the air bubbles that provide the wrap's cushioning. There are even virtual video games that simulate the act of popping bubble wrap, complete with authentic snapping sounds. Of course, the reason bubble wrap is so common is its effectiveness at protecting fragile items without adding significant weight or cost. 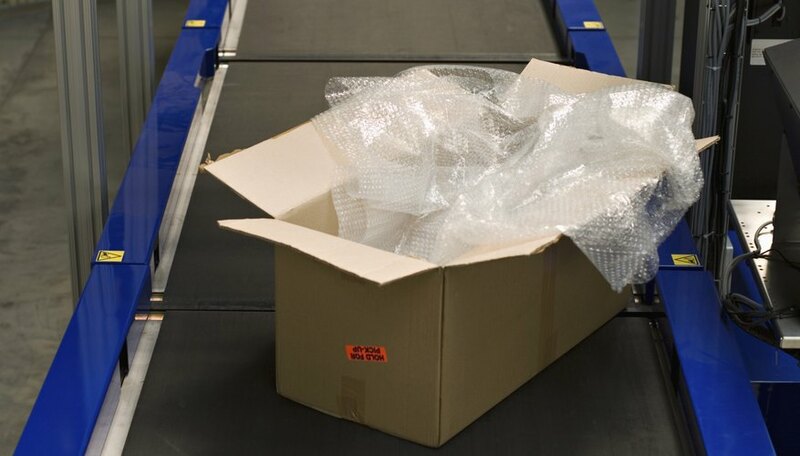 For small items or those that require additional protection, the bubble wrap can simply be overlapped to provide several layers of cushioning. What Are the Types of Packing Materials? Shrink wrap is commonly used on commercial products where tamper-protection is a high priority, such as CDs or DVDs. After the item is wrapped, heat is applied to make the wrap shrink to fit. Because it creates such a tight seal and keeps moisture out, shrink wrap can also be used to package perishable food items. 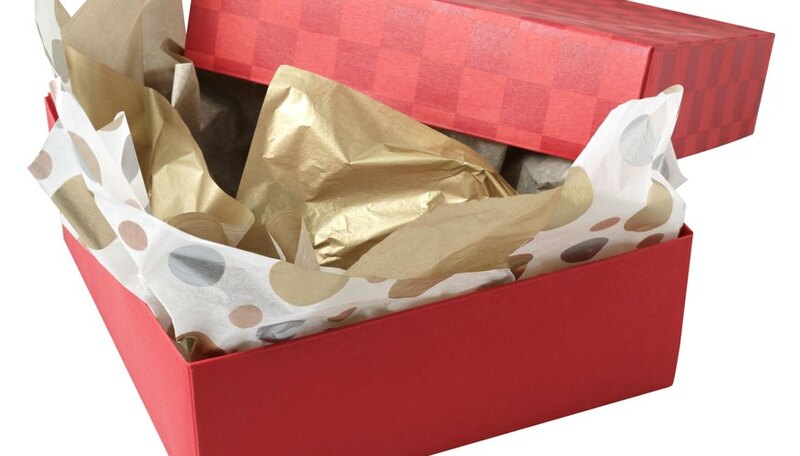 Tissue paper is used inside a container to fill empty space so that the packed items do not shift in transit. Fragile contents like glass or porcelain are often wrapped in tissue paper before being placed inside another type of protective container for shipping.